The 250 Watts output together with the 12“ speakerof the TC Electronic BG250-208 Combo produces a powerful and balanced sound. With help from the intelligent 3-band equalizer, which effects different sound for Boost and Cut, the sound can be quickly and easily manipulated to meet your personal preferences. 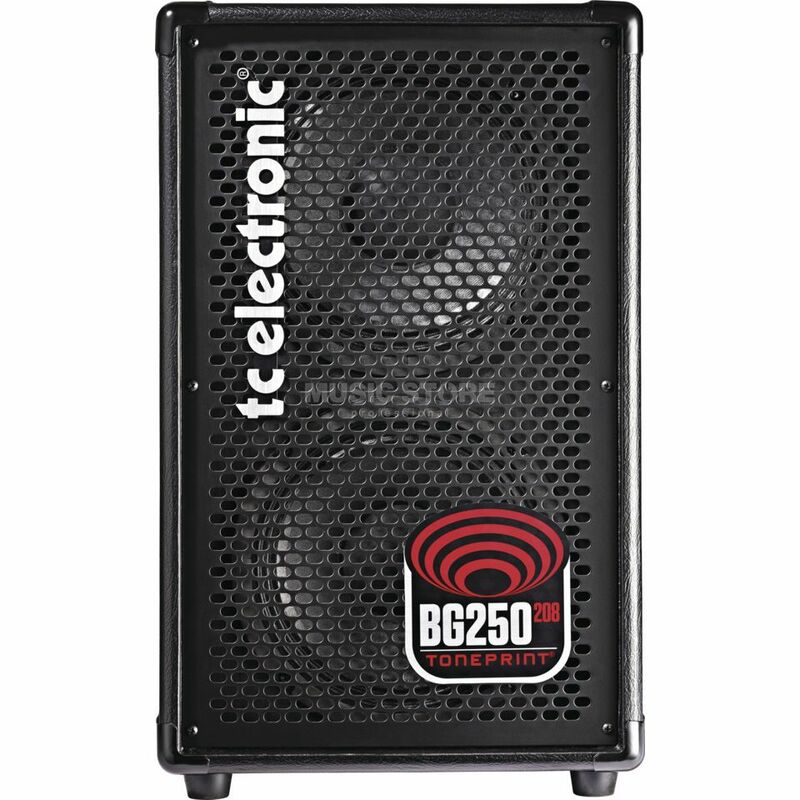 The TC Electronic BG250-112 Combo offers two memory banks for TonePrint effects. These can be transmitted to the amp via USB or the TonePrint App. There are 6 standard effects ( Chorus, Flanger, Vibrato, Octaver, Spectra Comp, Bass Driver) available programmed by popular bassists such as Nathan East, Duff McKagan and Mark King. Using the integrated tuners, you can quickly and easily tune your bass. The BG250 is also equipped with a mini-jack Aux In, which allows you to connect an mp3 or CD player to playback backing tracks and play-a-longs. Via the symmetrical D.I. output, the combo can be connected directly to a mixer or recording device. The headphone output allows for silent practicing with the TC Electronic BG250-208. With the optional footswitch it is possible to switch between the TonePrint memory banks as well muting the amplifier. WARNING! If no footswitch is connected, only one TonePrint memory bank is available! Speakers: 2x TC Electronic Custom 8"
4 combos in total with different speakers make up the BG250 family.